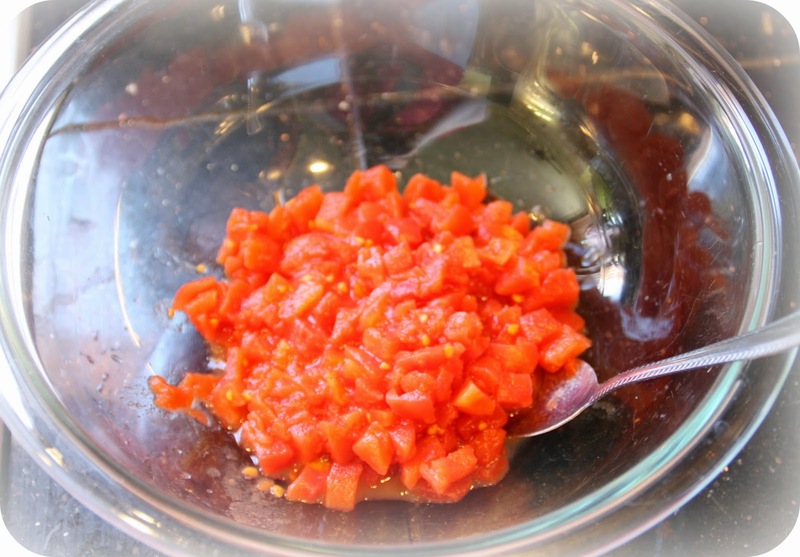 mommy's reviews: Toss in the Flavor with Redpack Tomatoes! I think it is safe to say that summer has arrived. At least here at my house it has! The days are warmer, the sun is brighter, we have bought the children a 12 foot pool that they have been spending their days in and the central air has been cranking. Yes, summer is here and that means it is time to bust out the yummy summer recipes! I love to cook and trying out new recipes is something that I have always enjoyed. So when you have summer, recipes, food and fun...you have to have some Redpack Tomatoes on hand!! I always associated canned tomatoes with spaghetti sauce but Red Pack has opened my eyes to new and innovative recipe ideas. When you are planning out your picnic menu, make sure your recipes include some of these amazing tomato products. I wanted to take a moment to tell you about a fun promotion that Redpack is having on their Facebook page. 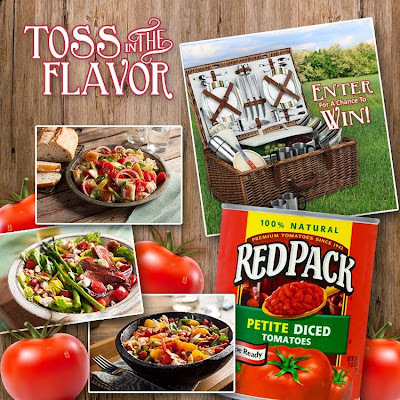 Right now, Redpack is hosting a Grand Prize Picnic Basket Giveaway (worth $400!!) that is packed with all the tools that you need to chop, spin, toss, dress and mix your most favorite summer salads!! From now until June 10, you can enter this WEEKLY giveaway so make sure you hurry on over there and get your entry in. Click here to find out more. 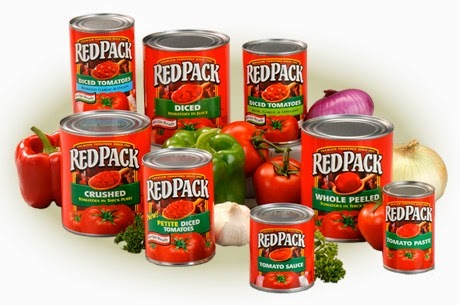 During the duration of this promotion, Redpack will also be sharing some fun recipes featuring their canned tomato products along with seasonal fruits and vegetables. YUM! 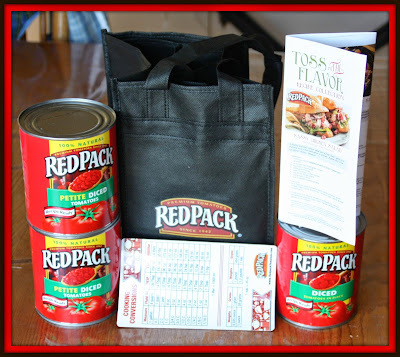 So, for this review I was sent a fun, Redpack Tomatoes Springtime Gift Pack, which included. two 14.5 oz. Redpack Petite Diced tomatoes, one 28-oz can of Petite Diced Tomatoes, a Redpack Wine Tote and six light and easy salad recipes. It also contained a handy measurement conversion magnet, which I can use when cooking and baking! 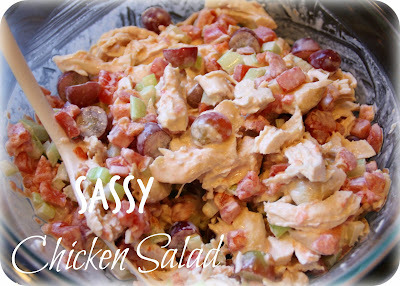 One of the recipes that caught my eye in the pamphlet was the recipe for Sassy Chicken Salad. I whipped up this simple salad in a short amount of time. Of course, one of the amazing ingredients are Redpack Petite Diced Tomatoes. :) I love this salad because it has such a delightful combination of fruit and vegetables...the grapes add so much. I ended up leaving out the green chilies and just used the Petite Diced Tomatoes. I don't like spicy all that much so it worked out well. Want to make this salad yourself? Here's the recipe! To toast pecans, bake uncovered in ungreased shallow pan in 350 degrees oven for about 10 minutes, stirring occasionally, until golden brown. Another option is to toast them in the microwave. Place a single layer on a microwave safe plate and cook on high for 2 minutes. Stir and cook for 1 more minute. 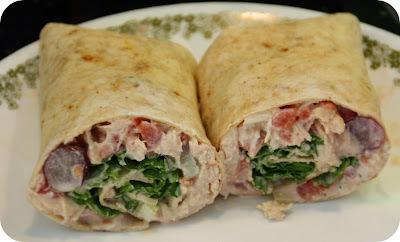 I didn't have any Croissants so I used a sun-dried tomato wrap instead, threw in some leafy lettuce and oh my...what a lovely wrap it was!! The flavor combinations are delicious. 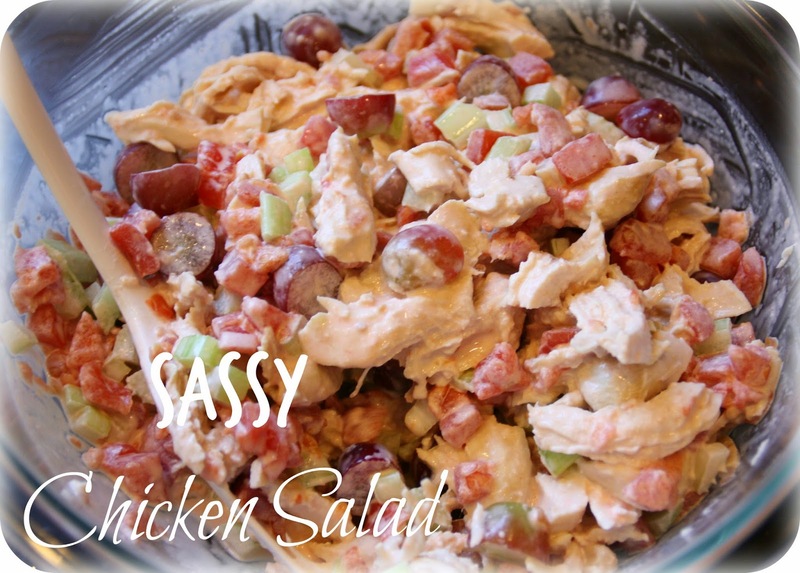 I have always loved chicken salad but this recipe is my new favorite that I will be hanging onto for future use. So, the next time you are looking for some innovative and exciting options for your recipes, try adding in some Redpack Tomatoes and see what YOU can come up with! I loved the chicken salad and cannot wait to try some additional recipes. Again, please be sure to stop by Redpack's Facebook Page to enter their Toss In The Flavor giveaway! Disclaimer: I received no monetary compensation for this post.I did receive free Redpack Tomato samples for review purposes. All quotes and stock photos are from the product's website and email. All thoughts and opinions are 100% mine. I love cooking almost everything I can with tomatoes. They're so good for you.